Nexus 5 is the new creation of mobile equipment manufacturer LG and the software giant Google. You can find lots of positive reviews online and thus already millions of customer have purchased and ordered Nexus 5. Nexus 5 is shipping in 2 Variants of different storage size [16GB and 32 GB]. The main attractions are Snapdragon 800 Quad core processor paired with a Adreno 330 GPU running a Stock Android 4.4 Kit Kat firmware. It has a full HD 1920X1080 Pixel Display. Some people are complaining about the camera and design. But still LG and Google have successfully packed almost top notch features in one Phone with a worthy price. Developers have already released information about Rooting Nexus 5 and Official TWRP recovery is also available. If you want to install ClockworkMod you can few days or install the Unofficial recovery released by Xda forum member. 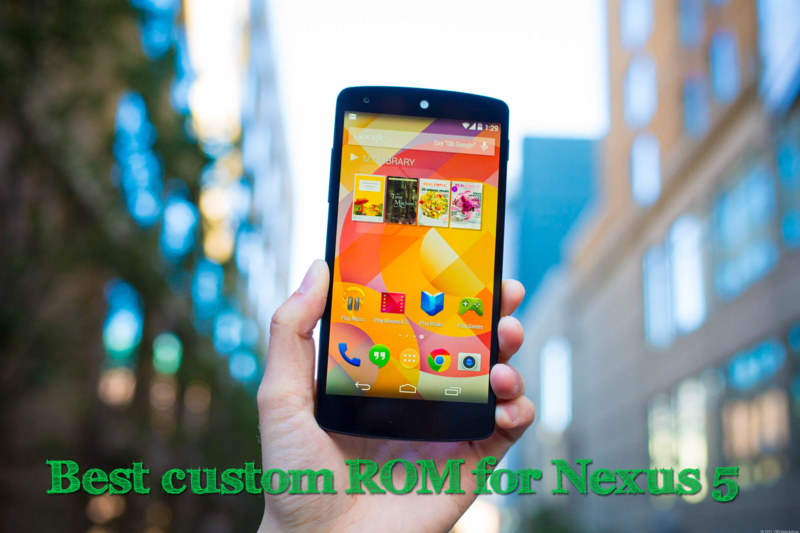 We are here to talk about the best custom ROM available for Nexus 5. As too many developers are attracted toward Nexus devices and thus lots of ROMs are available online. We are here to clarify your doubts and suggest some custom build firmware for your Nexus 5 device. 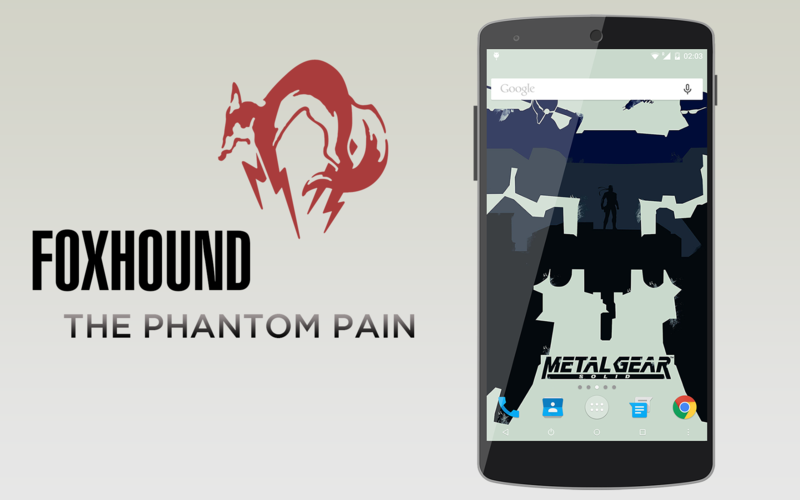 FoxHound The Phantom Pain Android 5.0 Lollipop ROM for Nexus 5: It’s a great news for Nexus 5 users as a senior xda forum member raggaele88 has launched all new clean and stable Android L ROM for Nexus 5. It is based on factory image but optimized much better for performance and battery life. Its pre-rooted and all bugs has been fixed. There is all new material UI gapps and other features. Android L preview ROM: This may not be full ROM for Nexus 5 but some users who are too tempted to try the new Android L OS will choose to install it. Of course there are bugs, but the main system is stable and you would be able to enjoy the Android L smooth interface. Liquidsmooth AOSP Slim ROM for Nexus 5: Are you looking for light weight, fast and stable ROM for Nexus 5. XDA forum senior member has launched the much awaited version 3 of the LiquidSmooth ROM for Nexus Phone. This is one of the most Smooth, fast and stable ROM for Nexus 5, based on Android 4.4.2 Kit Kat. Plain AOSP with SlimROM and Paranoid featurs like Slimpie, custom tiles, advanced reboot, liquid dungeon and many other features packed with it. BeanStalk Kit Kat ROM for Nexus 5: XDA forum recognized developer Scott has launched the latest build of Beanstalk ROM which is based on latest CyanogenMod base.There are lots of features packed and developer has added another dozen like Quick settings, smart pull down etc. The ROM has been tweaked and most of the bugs have been fixed. Users have reported a stable and fluid performance. Mackay ROM and MacKay Kernel for Nexus 5: Mackay ROM is a project started with Cyanogenmod as a base, but later shifted to the Omni ROM as a base. The developers have picked all the goodness and CyanogenMod and Omni and tried to pack into a stable ROM with fast performance. Android 4.4.2 Kit Kat based Omni ROM has been optimized and tweaked for faster performance and lower resource uses. The developer has created a Kernel with lots of optimization and patches. Graviton ROM for Nexus 5: Nexus 5 latest installment packs a new Quad core processor with powerful GPU and 2G RAM. If you debloat the current firmware you will get a super fast and light weight ROM for the device. 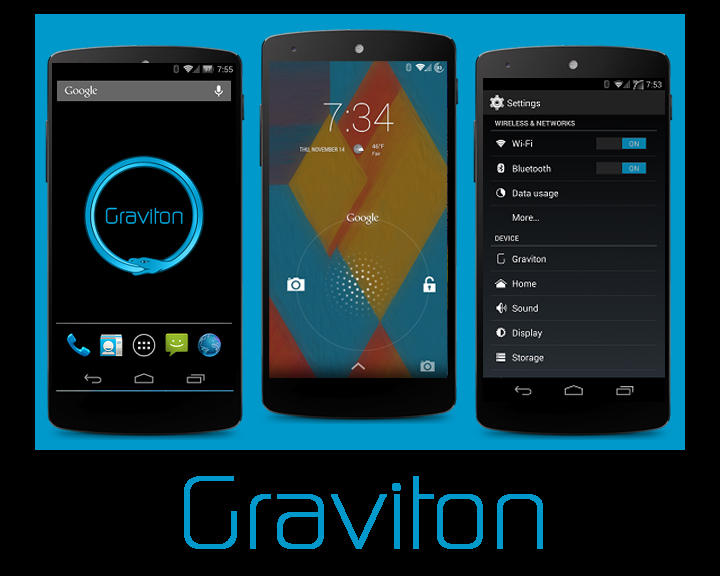 Graviton ROM is the same, developer has removed most of the things that are available on Google play store. The ROM is rooted, deodexed and tweaked for fast performance, and there are some extended user interface and performance enhancements. Team Speed Pure Speed X: users are crazy about the speed, anything sluggish is not tolerated and developers are always after creating the fastest of custom firmwares. Martin_ROM an XDA forum member and Team speed have developed a well tweaked ROM for Nexus 5 users who want the most awesome performance. The ROM is based on AOSP 4.4 Kitkat KRT160 firmware. We will be keeping our eyes on the latest developments happening with Nexus 5. You can join us on Facebook and Twitter to stay on track. Please feel free to suggest any ROM that you liked and we have not mentioned here. If you have installed CyanogenMod ROM on your Nexus 5 then make sure you try these CM themes. I would suggest trying Xposed framework on Nexus 5 if you do not want to install custom ROM. But Xposed firmware is not working on Android Kit Kat, you will need to wait some time for developers to update the app. But you can definitely try Themer app for customizing the Home screen.